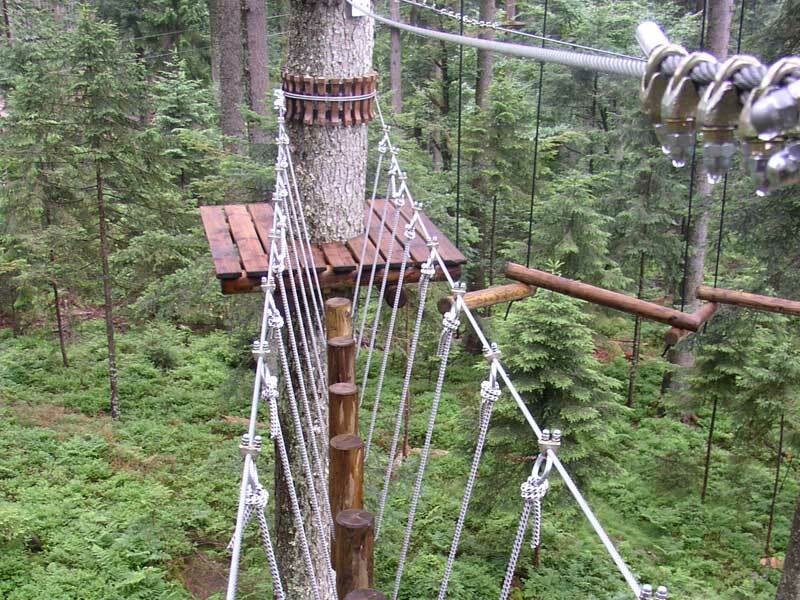 On 3.5Ha of the Blackforest, Adventure Park Mehliskopf offers the visitor seven parcours and 71 elements of tree-to-tree climbing pleasure. 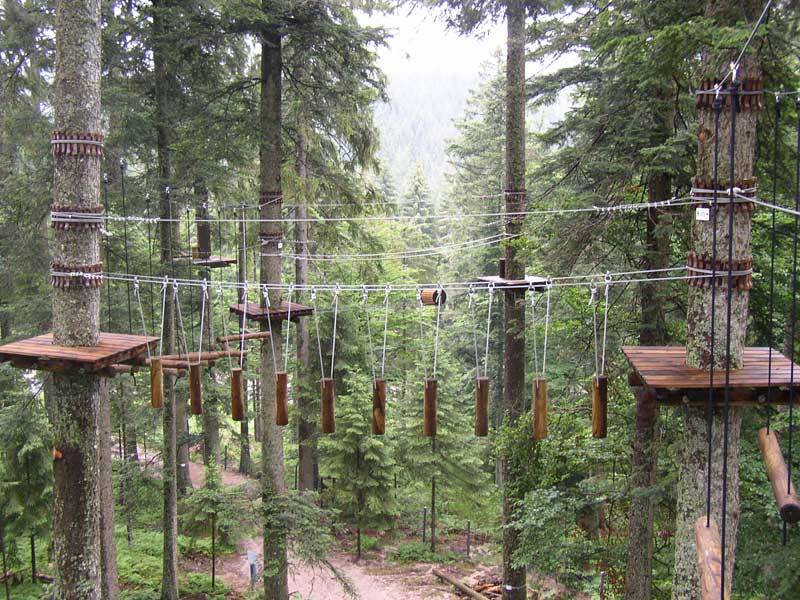 To offer a suitable challenge for every visitor, we arranged the parcours in differing levels of difficulty. The beginning two parcours are approx. 3m high. 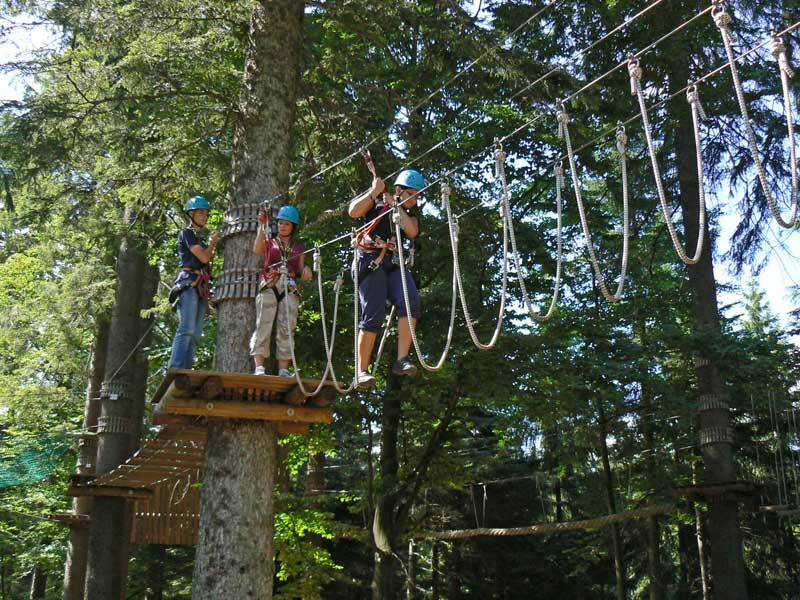 In this area, participants from as young as 6 yrs. old are protected from start to finish by the continuous safety-system, EVO adventure (Bornack). 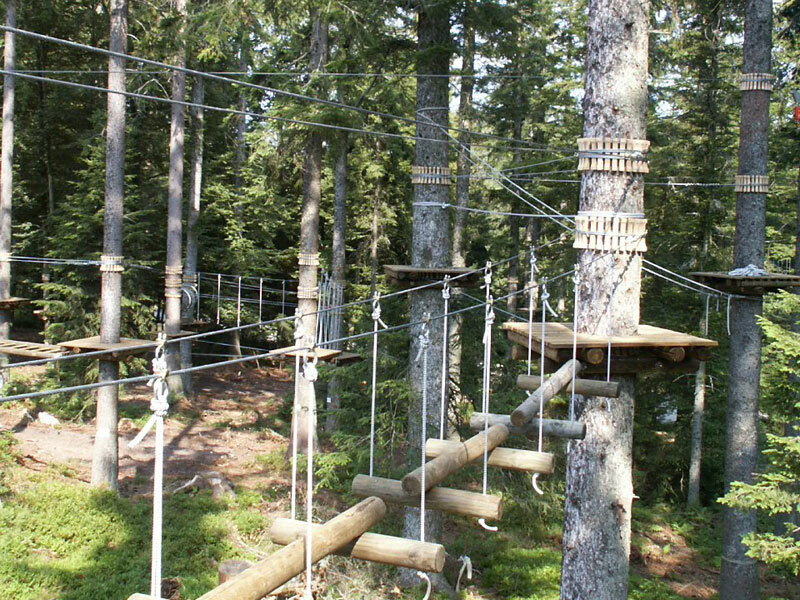 Parcours three, four and five are slightly harder, only accessible for children from 8 yrs. 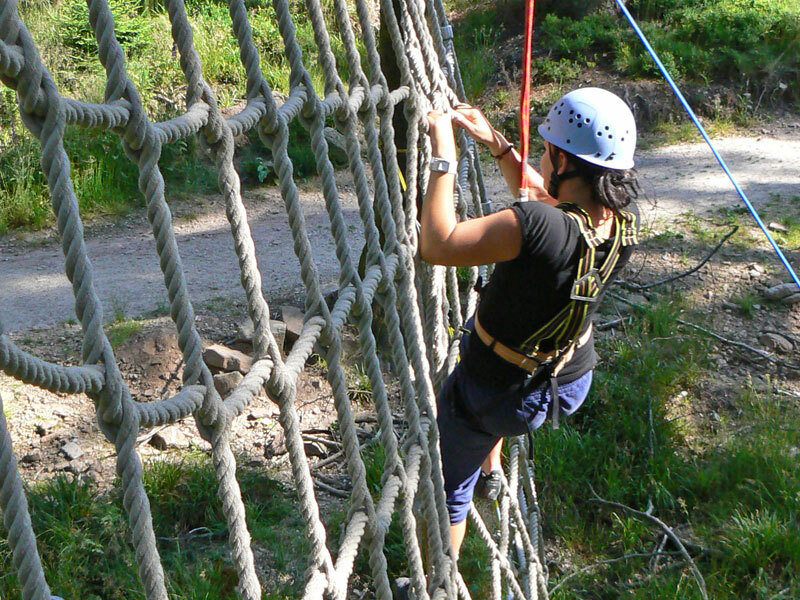 old, and require the use of lanyards and carabiners. 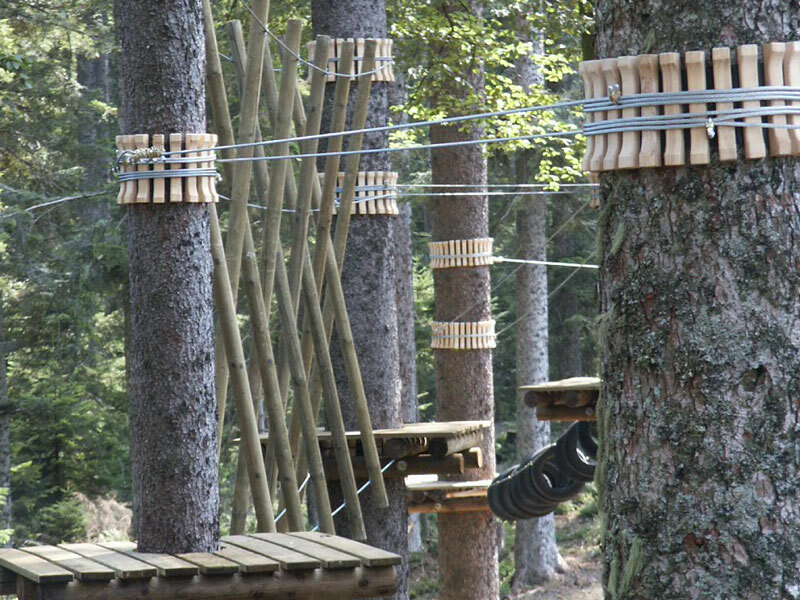 Parcours six and seven rise up to 14m and are physically and mentally demanding. Admittance is for those over 16yrs old. 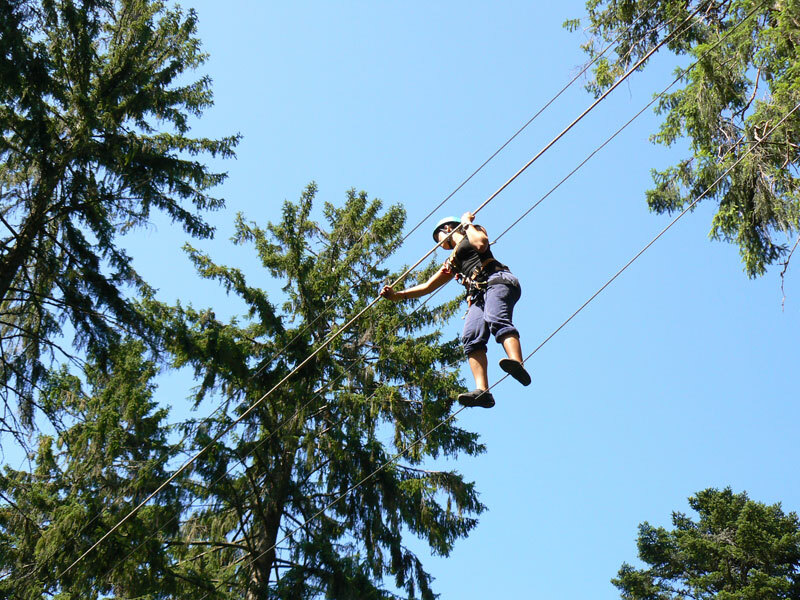 Diverse elements such as ‘flying chair’ or ‘the skier’ ensure boredom doesn’t arise. 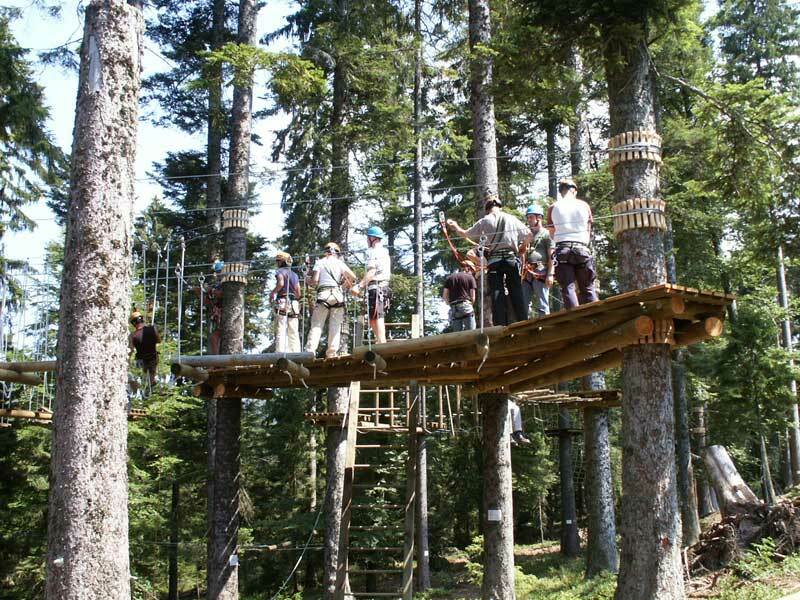 The climbing garden is the ideal complement to the ski fields and summer toboggan activities found at Mehliskopf allowing for an almost all-year round operation.